After mentioning it in the comments to Mark Forster's "Change to Fast FVP" blog post ( http://markforster.squarespace.com/blog/2018/1/6/change-to-fast-fvp.html?currentPage=2#comments ), I thought it, at least, deserved a thread here in the General Forum so it would be more visible for anyone that wanted to try it. Even though I give in to temptation and try out other systems from time, I keep coming back to this one so I guess there must be something to it. 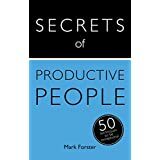 The rules are as for this version of Fast FVP - you "dot" any task that you feel like you want to do now. So you quickly end up with a candidate list of dotted tasks. You then treat this candidate list as an AF1 page i.e. you keep circulating around the pseudo-page (of dotted tasks) until you no longer want to work on any of the tasks any more. If an urgent task comes in while you are circulating around the pseudo-AF1 page, you immediately add it to the end of the main task list, dot the task and include it in the pseudo-page circulation. Then, when you've exhausted all enthusiasm for that batch of tasks, that entire pseudo-AF1 page is "dismissed" i.e. you move (or rewrite) all the tasks that formed that pseudo-AF1 page to the end of your current task list, effectively removing all the dots. If, at any time, you feel the pseudo-AF1 page has become stale (e.g. after some time has elapsed, or your physical context has changed), you move (or rewrite) all the tasks to the end of your current task list and do a fresh reselection i.e. again dotting the tasks you want to do right now. The net result of this approach is that the end of the list contains tasks I've shown some enthusiasm/interest in recently while the beginning of the list consists of tasks that are prime candidates for being weeded out. Thanks for a clear description of your system. Apart from urgent tasks, do you allow yourself to add additional tasks to your pseudo-AF1 page? Or does it remain the same until you have finished with it? Presumably if you finish a task completely you remove it? If a task came in that I felt strongly that I wanted to do as soon as possible (an internal pushing rather than an "urgent" external pushing), I would add it to the pseudo-AF1 page - that still comes under the "urgent" category for me. But otherwise that "page" is closed. New tasks are added to the main task list but left undotted so they are not part of the pseudo-AF1 page..
As time goes on, the pseudo-AF1 page diminishes in size because tasks that I've worked on, and no longer feel any enthusiasm for working on any more at that time, are moved (rewritten) to the end of the main task list (in an AF1 kind of way), and therefore become un-dotted. Because I'm looking at a filtered view of dotted tasks in my electronic system, I'm seeing this pseudo page as a separate actual page - a peaceful oasis away from the master task list length and chaos :-) - and I see it getting smaller and smaller which gives me a sensation of accomplishment. And because these are all tasks I felt some enthusiasm for initially (the no-more-enthusiasm tasks are gradually "undotted" by being moved/rewritten to the end of the main task list), I find the enthusiasm for doing stuff stays fresh all day i.e. I don't resist my main task list because I'm rarely bullying myself into doing things off it. If a task is finished then, yes, it is removed from the pseudo-AF1 page. Great. It sounds a very good system. I must try it sometime! Great system. Quick question: Would you still need to dot the first task on the list? Paul MacNeil wrote : "Would you still need to dot the first task on the list?" No, you only dot stuff you feel like doing at that time. The start of the list ends up being a bunch of "stale" tasks that you might want to dismiss, delete or move to a Someday/Maybe type of list. Or you can have a "Weed List" task and just clean out the start of the list every so often. 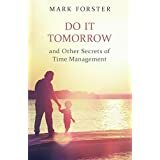 The question I find works quite well for task selection (inspired by Mark's Next Hour approach) is: "What do I feel like doing in the next hour?" - and then I dot all those tasks (even though, in reality, it may take less than an hour, or considerably more than an hour to extract all the "enthusiasm" from the bunch of selected tasks). For some reason, that question seems to let my mind be freer and more intuitive than "What I do feel like doing right now?" Like with Fast FVP, if you come across a task you really want to do while dotting, just do it (or do as much as you feel like you want to do). You can then continue with the dotting of the rest of the list and start extracting the enthusiasm juice from the dotted batch of tasks as normal. Also, just for clarification, if it's clear that a dotted task no longer carries any enthusiasm for me, I just remove the dot immediately (or rewrite it at the end of the list, if you are paper-based) to keep the unnecessary clutter out of the way of the pseudo-AF1 page. I was thinking I ought to name this system to avoid confusion with Mark's current methods, even though it is somewhat inspired by them. Out of interest, how do you generally decide what tasks you "feel like doing"? What do you think is the main trigger point on deciding to do a task? I suppose there are all sorts of criteria for this. e.g. quick easy tasks, when they need to be done by, urgent, etc. or it could be random! I'm trying to stick to some criteria in how I pick tasks. I don't trust myself too much when it comes to what I would like to do, compared to what I should be doing! Sometimes I have a particular definite criteria in the back of my mind when picking, other times it can just be a case of "that one, that one, that one" and I don't really know what's driving my selection. The basic underlying premise for selection is that a task got my attention for some reason. 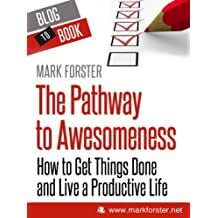 When adding tasks to the Oasis (which is the term I might as well use for the "island of enthusiasm" tasks), you can err on the side of caution and add anything on the borderline of your stated or unstated criteria. There's no penalty for adding tasks that do not fit. As you extract enthusiasm from the Oasis (i.e. do the tasks that feel right to do), it might become obvious that a borderline task does not belong there. Then it "automatically" gets removed from the Oasis and finishes up at the end of the main task list - which is where it belongs anyway because something about the task has your interest i.e. it's definitely not a "stale" task that should stay at the start of the main task list. On the other hand, as you are circulating the Oasis, a task that might have previously been borderline might now have "come into range" for some reason and becomes a very valid choice to do next within that particular Oasis. My presupposition for this system is that the intuitive-creative side of me knows the best order to do my main task list so it will drive the selection of tasks for the Oasis - not my logical mind. When the Oasis is no longer in tune with that side of me for some reason, the entire Oasis will feel "wrong" and I'll want to reselect it. Yes, seems a good a system as any. I like the way it is quite simple and brings into focus on what you need to do. All good so far. Have you stress tested it? e.g what happens when you have a build of tasks and potentially lose track of what needs doing next? e.g Some need action now, some action in a few weeks, some needed action last week! Etc. Perhaps too many too review regularly? Maybe the more recent naturally stand out more, but they may not be the best ones to do. That has been one of my biggest issues with long lists in that they can get too long to review regularly. I have my own solution, but wondered if you had one? Mr Backlog wrote "That has been one of my biggest issues with long lists in that they can get too long to review regularly. I have my own solution, but wondered if you had one?" If you were using this as a standalone system then you might need to implement some kind of definite dismissal/weeding policy for the front of the list. One approach that I quite liked was that every time I created a new Oasis (i.e. reselected tasks I felt enthusiasm for), I would force myself to make a decision about the first item on the list. I would either have to delete/dismiss it, or rewrite/move it to the end of the list with an amended description that would make me more likely to do it, or invest a bit of time understanding why I wanted to do it so I might be more willing to do it on the next iteration and then move/rewrite it to the end. ...I use this system for processing GTD Next Action lists. So, for me, I have a Weekly Review process going on to keep tabs on the higher level stuff, and I have that GTD system integrated with an Anthony Robbins OPA/RPM system (i.e. Categories of Improvement) that acts as an overall umbrella of focus regarding the direction of my life. So far, this approach has survived everything I've thrown at it while maintaining my sanity. I have, by most people's standards, a pretty busy life with plenty of home/work projects running simultaneously. Obviously, this last bit (GTD+RPM) is optional - and possibly unnecessary for most people - but The Oasis System approach makes it all workable for me at the "doing" level. Yes, sounds good. 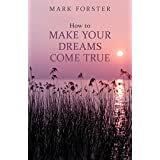 Great to see you have found something that works over a long period of time. Your dismissal looks interesting and I think that is essential for any system. I expect we all have tasks that can be partly done but may need to be carried forward in some way. I think in some ways I do a similar thing to your system. Tasks are funnelled in at the right time. I just concentrate on when the tasks need to be done by. That being the main trigger point for deciding to actually do the task. Also, I have a sort of rota system so everything is picked up and worked on in short bursts. I found I needed something more mechanical to decide what to do next so that everything got worked over a reasonable timescale. If I left it to what I felt like doing certain things never got done. I suppose your weekly review has the effect of making things stand out and I can see how that works. I have always wondered why it might not be easier to dispense with the weekly review and simply decide when a tasks needs to be done the first time you ever see it? Especially with a very long list. A weekly review could take hours! I think in GTD is it half a day a week set aside for review? Anyway, I suppose we all find a system that works for us and if it does then stick with it! Mr Backlog wrote: "I have always wondered why it might not be easier to dispense with the weekly review and simply decide when a tasks needs to be done the first time you ever see it?" If time was an infinite resource, you wouldn't need a Weekly Review. 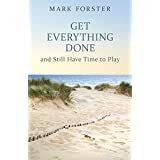 The review serves as a renegotiation of commitment and resources between your "Getting Stuff Done Self" and your "Intuitive/Planning Self". Yes, a Weekly Review can take a number of hours, especially when starting out, but it leaves you with a mental clearness and clarity regarding mundane activities that I've never found any other way. Plus, as David Allen has pointed out, doing all your thinking in one go (at the Weekly Review) means that the rest of the week you can just spend time "doing", even in a dumb non-thinking way. Including borderline tasks in the oasis reminds me of my old method of "intentionally optimistic" lists for the week and day. It worked well for me for years, but lately I find a shorter, pessimistic list works better. I need the extra pressure and focus. I also created an oasis for each week, so I didn't have to review the entire list as often. I've occasionally created an oasis for the day, and from that list created an oasis for the hour. Sigh, another app that is only on iOS. Probably a good thing, since whenever I move to electronic, things go downhill. It's frustrating, since I'm tired of rewriting. The official GTD books recommend only 30 to 60 Minutes for a weekly review, not half-a-day. It's a brain dump, and a chance to check in on all your projects. Actually process in your inboxes or planning projects is a separate step. It's a check-in. If you don't know the status of a project, then finding the status is a separate (urgent) project. If something important might be lurking in an inbox, then reviewing your inbox is a separate project. For me, a Green status means I have a realistic plan, which, if followed, will get the project done on time. Actually dividing the project into steps, determining intermediate deadlines, and making time estimates is part of the project, not part of the overall check-in. Deciding when to do the work is, however, part of the check-in, since it's affected by other projects. The check-in also includes a quick bit of planning. Robbins uses a Gantt chart, but there are other methods. Have I planned to do 3 hours of work on each of 5 projects (aka 15 hours of work) on a single day, on which I also have 5 hours of appointments and am covering for my coworker who is on vacation? If the overall plan is not reasonable, then, yes, the check-in will take longer, since I need to decide which projects can be put off or dropped. I've morphed into doing something similar. I used Workflowy and tagging to generate the shortened list, however I'm trying paper now. What I do is dot the items that are urgent / critical / enticing and then jot them down on an index card. Work from there until done or uninterested and then log back to the original list. That doesn't shorten the list as gracefully as a digital tool but it still provides me the same level of calm that you are describing. @Cricket wrote: "Sigh, another app that is only on iOS. Probably a good thing"
OK - great, a consensus that pulling out tasks into the Oasis works and we are probably all doing something similar in principle. It seems the criteria for picking the tasks can be broad. They can be urgent, enticing, quick, easy, grabbed your attention, etc. Anyone encountered any issues with un-selected tasks eventually being missed and suddenly becoming urgent? If so, any thoughts on a solution? If not, your task selection/intuition is perfect! MrBacklog wrote: "Anyone encountered any issues with un-selected tasks eventually being missed and suddenly becoming urgent?" There's nothing within the "rules" to stop you doing a quick scan of the end of the list (which is where the action is) from time to time (if you are feeling nervous) and pulling into the Oasis anything you think is becoming urgent. That's assuming you feel the Oasis is still valid and you wish to keep it intact. That would be much quicker than reselecting the Oasis for no good reason. I tend to re-scan the whole list at the natural breaks in my day - right before / after lunch, waiting for a meeting to start, end of the day, etc. Yes, I think scanning works. I was just trying to do away with that and find something that works automatically. Maybe on the lines of setting a marker when first ever looking at the task of when it needs to be done. That way it is only ever reviewed once and comes into focus at the right time. The idea being to try and get the perfect system with zero admin time. I don't know what it is, but whenever I review tasks multiple times I have a tendancy to put them off even further. My brain seems to think they are difficult even when they are not. I tend to also get anxious when I really do look through ALL the tasks I have to do. A sort of overload. The next actions seem to randomly pop into my head at some stupid time at night when I can't do anything about it. A sort of blissful unawareness of everything and just working through a small focus of tasks popping up at the right time seems to work so much better (for me anyway!). MrBacklog, For me, there is no risk that unselected tasks will suddenly become urgent. I review both the list and my overall list of projects often enough (quickly, but often) that I know what is urgent. It's obvious, to me, that the task title should include key dates. Start date, deadline, window of opportunity, whatever makes sense for the task or project. Otherwise, I have to try to remember them them every time I scan the list. If your lists are long enough to make you anxious, work on one section at a time, and ask very simple questions. "Do I have to do this in the next week?" "Do I need to do something else before I do this task?" "Who will suffer if it isn't done today?" Yes, I agree, it is as simple as that. I took the plunge and did a review of everything and it did not take much time at all surprisingly. I then dropped the various tasks into folders, do now, do within 1 week, do within 2 weeks etc. That way I can just ensure they are done within the timescales. Seems simple enough - will carry on with that. NB most of my tasks are in email, so they are all dated when they arrived. Simple to create folders in Outlook and drop the emails straight into those. Therefore Outlook is quite good for automating that process. I have other tasks on post-its and a book with mainly telecall notes and action points, but easy to dot or star those to signify the timescale when it needs to be done. It is really as simple as that to organisation perfection? Cricket wrote "Frank, yep, there it is. On the left and the right. No free trial, though"
Frank, Now I know what my kids feel like when they didn't see the note I put on their pillow. Gmail lets you put multiple labels on each item. Usually I use a star for something others are counting on, one for the project, and, if there's a lot of correspondence for a project, "project to do" (meaning I haven't extracted all the info from the letter). If things are really busy, I might add "ignore until date". Multiple labels is also nice if people discuss more than one project in an email or don't change subject lines. Be careful you don't start with a file labeled "in 1 month", then put five tasks in it each week! 5x4=20, which might be too much. The One Minute To Do List starts with listing different horizons. What do you need to finish by the end of the day? Few days? Week? Month? (Or something like that.) I would add time estimates to each task or project, so you know if you expect to do too much. The sooner you decide you don't have time for something, the easier it is for everyone involved. Frank, thanks for this, it’s very interesting! This method reminds me of something I tried several months ago. I would capture each task as an item in a section in OneNote. Then I’d scan through them, and move all the items that “stood out” to a new OneNote section - kind of like Franks’s “Oasis” list. But sometimes that list would still be too long, so I’d scan it a second time, and pull out a subset of items that stood out, to a third section. I’d do this as many times as needed, once getting as many as six or seven sections, each time getting more and more focused. Once I cleared a focus list, I’d go back to the previous one and see if it was still fresh. If yes, carry on the same way. If no, move everything back to the main List and start over. Worked pretty well but started getting complicated with all those sections. Also, new items would always go to the original list - including urgent items - which didn’t really work well. I fussed quite a while over where urgent items should go - the original list, the most focused focus list, or one of the in-between focus lists. After a while, I was spending too much time thinking about the system rather than working it. So I gave up and went back to my FVP/no-list hybrid. The Oasis system has given me some ideas how to simplify my OneNote system and make it more effective. I’ll give it a try and report back if I find something that works. I'm really liking the general Oasis idea of bringing tasks into focus at the right time. Bit like Real autofocus principles where you do the new stuff in and defer the rest to a calendar to be done later. It is quite refreshing to just work though a smaller list knowing they are the right tasks to be done at that particular time and the rest can wait until later. I also like only having to review something once. i.e. just do the new tasks coming in there and then, and then defer certain things to a more appropriate time in the future. As to the mechanics of how to do that, it is a bit tricky. I guess all our tasks come in via email, telecalls, meetings, paper etc, so they end up being in a mixture of formats with each having its own best way to be handled. We can develop our own systems for that. However, the main principle just being to work on the task at the right time. I'm currently thinking that simple scanning is the best system if you have a shortish list of tasks. If the tasks build up and there are too many to clear in a few days, then Real autofocus/Oasis is best due to the deferral aspect. If in doubt, I put new things in the most-focused list, as "tiny bit of planning for". It's the safest and quickest option. Get it out of my brain and to a safer place as fast as possible, before it draws me from what I should be focusing on. The list is right in front of me, and I know I'll get to it before the task becomes urgent. Or I might put it on the focus list with the appropriate deadline, being a bit pessimistic. I'd rather spend five minutes today thinking about it, and realize I need to talk with Joe before he goes on vacation, than think "It will only take an hour, do just before next month's meeting" and miss the window.